Job site Indeed has announced the leading technology organizations to work for in India, on the basis of over 100 million ratings and reviews available on Indeed. Leading the pack is Adobe Inc., followed by industry giants NVIDIA and Microsoft. The Indian Space Research Organization (ISRO) was the highest ranked Indian organization at no.10, and the only public sector firm to feature on the list. 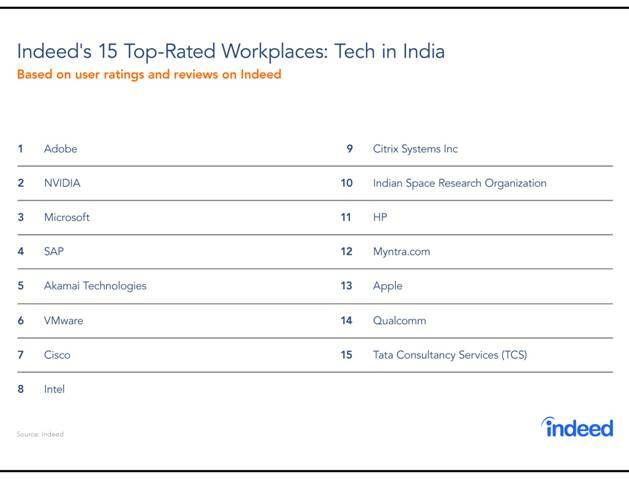 The following companies are the Top Rated Workplaces: Best in Tech rated by Indian employees on Indeed. “In addition to strategic and meaningful workplace programmes, companies that have focused on people management, and contributed to creating a conducive environment for their employees have been highly rated by job seekers”, said Sashi Kumar, Managing Director, Indeed India. 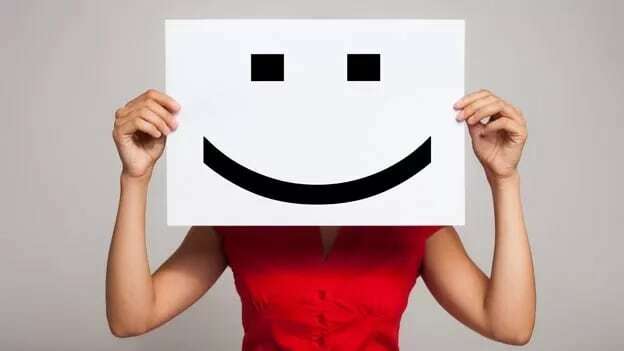 “Apart from competitive remuneration, companies that work to make their employees feel like they work with, and not for the company, create a culture of ownership and instil a sense of loyalty in their employees”, added Kumar. The top five workplaces on the list are multinational corporations (MNCs) – a clear indication that Indian job seekers see greater scope for career advancement and work exposure in large international firms when it comes to the technology sector. American giants Adobe, NVIDIA, Microsoft, SAP and Akamai Technologies feature as the top five on the list. An unanticipated contender on the list is Indian Space Research Organization (ISRO), in 10th place, one of the few Indian workplaces on the list, and the only entrant from the public sector. Indian job seekers, as has been observed in the past , still hold a preference for the stability and job security public sector jobs offer in the long run. Some of the other Indian companies that feature in the top 15 include e-commerce company Myntra and Tata Consultancy Services (TCS). What makes a Top Rated Workplace? When considering a new job opportunity, insight into a company’s reputation is considered important by a majority of job seekers. With today’s job seekers seeking more transparency from the companies they choose to work with, glimpses into new workplaces that were once privileged insights, available to only a select few, are now accessible to all through employee reviews, company reviews, and social media pages. This allows for companies to showcase their best practices, while also learning from other high-performing companies how they achieve high rates of employee engagement and satisfaction. With the technology sector seeing an increasing shortage of skilled talent, recruiting has become highly competitive with companies all vying for limited resources. This has spurred on organizations to create better employee experiences in order to attract and retain the best talent for their company. The companies that are featured on this list have worked consistently to cater to the specific needs of their employees so that they not only have a satisfying work experience but also achieve the career trajectory they desire.